I’m not one for New Year’s resolutions. My personal resolutions always feel contrived, so several years ago I just stopped making them. But the new year can be powerful, especially on a social level. It’s a time of year we can all agree is about new beginnings — even if it’s a tad contrived. So, this year, I’d like to suggest a resolution for the entire content marketing industry: In 2019, let’s take a break from mashups. Like alcohol or sweets, mashups aren’t an inherent vice. Used responsibly, this kind of content can be fun and engaging, maybe even useful. But collectively, we’ve indulged too much. Mashups come in many forms, and content marketers aren’t the only group to abuse them. But there are two types in particular that we’ve allowed to overpopulate the internet, and it’s time for us to rein it in. This is likely the most prolific type of mashup, and every local carpet company with a blog is guilty of it. This is the listicle, the “top 10” list, the photo slideshow, the … clickbait. Some of these articles take off and get lots of traffic and shares, but the vast majority of them fizzle. I don’t have the hard data, but I’d guess it’s a 90/1 situation — 90 percent of the results from one percent of the content. And yet, it persists, and it’s not hard to see why. These kinds of mashups all follow a simple pattern, one that’s easy to remember and sticks in our brains. Over time, these mashups have become familiar — to both the writer and the reader. And we like familiarity. It’s why The Office, Friends, and Parks and Recreation account for an estimated 14 percent of Netflix views. It’s no coincidence that these three shows are all sitcoms: a beloved, familiar, easy-to-consume format. 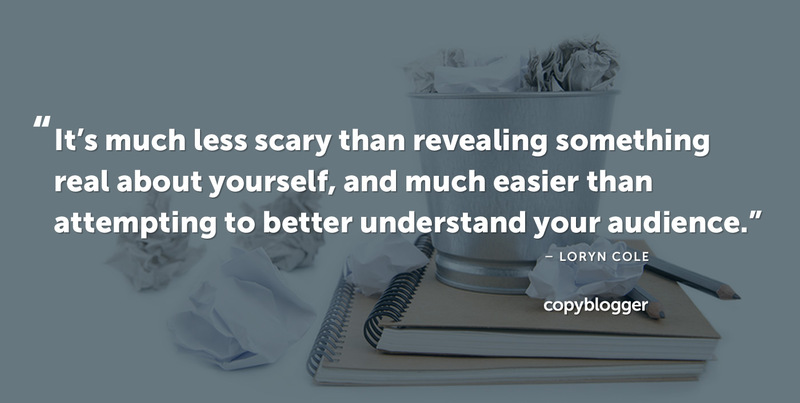 There’s nothing wrong with using a template to create content — or anything, for that matter. Often, they can provide the constraints you need to produce something unique. But for every successful sitcom or listicle, there are millions that don’t make it. Following a popular format doesn’t guarantee success. For almost two years now, I’ve been working on my first motorcycle rebuild project. When I started, I knew almost nothing about motorcycle mechanics whatsoever. So, suffice to say, I’ve spent a lot of time Googling.